The game was a critical and commercial success, with critics praising the game for its originality and engaging gameplay. Many reviewers compared and contrasted it with Infamous, another open world action-adventure game released one month prior to Prototype. A sequel, Prototype 2, was released in April 2012. Alex's primary superpower is his ability to shapeshift, changing his body into anyone. Going hand-in-hand with this power is his ability to "consume" others, absorbing them entirely. This process allows Alex to quickly regain health by absorbing the biomass of his enemies. This also allows him to take on the forms of the human enemies he absorbs, thereby allowing the player to move about the enemy as one of them. The disguise will only last as long as Alex remains inconspicuous. Alex has incredible physical strength, and will kill most humans in a single punch. He can perform various melee attacks without shapeshifting, as well as more gymnastic moves such as air combos, sliding along the ground using any humanoid enemy's body, and a high-speed rolling cannonball attack. Alex can also transform parts of his body into a selection of martial implements acquired over the course of the game, either as purchased upgrades or being given them. Offensive powers include the large and powerful Blade arm, fast razor-sharp Claws (which can also erupt large spikes from the ground), the telescoping Whipfist, Musclemass that augments his strength, and the slow but powerful Hammerfists. Defensive options consist of a large shield on Alex's left arm for blocking ballistic attacks that needs to regenerate after excessive damage, and full body armor that exchanges agility and speed for toughness in hand-to-hand combat; both will allow Alex to plow through most obstacles when active. Vision modes include thermal vision, which allows Alex to see enemies through smoke and other obstacles at the expense of a decreased vision range, and Infected vision, which highlights those infected with the BLACKLIGHT virus as well as military units. Both vision modes muffle all of Alex's other senses, such as hearing, in order to concentrate on his sight. One defensive and offensive power may be active at a time, and using either will negate Alex's current disguise. In addition to his own abilities, Alex can take the weapons from defeated or absorbed enemies. These include automatic rifles, machine guns, grenade launchers and missile launchers. He can also seize control of military vehicles, such as tanks and helicopters. Alex's most powerful attacks are the Devastators, which require Alex to be in Critical Mass- either a state of near-death or the exact opposite, having excess stored biomass and increased health. These include the Tendril Barrage, which fires impaling tendrils from his body in all directions, the Groundspike Graveyard, which erupts massive spikes from the ground all around Alex, and the Critical Pain, which fires a single beam of hardened biomass from his hands to severely damage a single target. For movement around the city, Alex uses his increased physical abilities. When sprinting, he will automatically hop over cars, barriers and other obstacles without losing momentum. Alex will also scale any wall he comes into contact with and simply knock aside any humanoids that get in his way without stopping. He can jump great heights and distances, enough to clear five-story buildings, and can sprint at extreme speed indefinitely. Falls cause no damage to the player even from the greatest heights. Even small jumps are enough for Alex to dent the ground beneath him, and falls from sufficient heights will create shockwaves at the point of impact which will kill most humans nearby and send objects as large as cars flying. Falling height also factors into several of Alex's melee attacks. The game takes place in a medium-sized version of Manhattan with all its famous landmarks, including the Empire State Building, the Chrysler Building, the Trump Building, the One Chase Manhattan Plaza, the Conde Nast Building, the Metlife Building, the One New York Plaza, and the New York Life Building, among others. The game follows Alexander J. "Alex" Mercer (voiced by Barry Pepper) who wakes up in a morgue in the basement of Gentek, a genetic engineering company based in Manhattan, sending a pair of scientists that were just about to perform an autopsy running. Alex escapes, and witnesses the scientists being gunned down by military operatives. Alex is discovered and attacked. He survives bullets being fired into his chest, and leaps over a wall to safety. He soon discovers he now possesses powerful shapeshifting abilities, superhuman strength, speed, agility, durability, senses, endurance, weaponry and the ability to "consume" people to gain their memories, skills and appearance. With no memory of his previous life, Alex decides to find and consume those related to the conspiracy in order to uncover the truth. During his quest, Alex faces two factions: the United States Marine Corps and Blackwatch, a Fort Detrick special forces unit dedicated to combating biological warfare; and the Infected, monsters created by a virus known as BLACKLIGHT that is overrunning Manhattan. Captain Robert Cross (voiced by Jeffrey Pierce), a Blackwatch officer, is given orders to find and contain Alex. Alex makes contact with his sister, Dana (voiced by Lake Bell), who assists him in tracking down targets, leading to the infiltration of Gentek headquarters. He finds a young woman called Elizabeth Greene contained in the building. Greene is a host for BLACKLIGHT, and upon her escape unleashes it upon Manhattan. Dana directs Alex to Karen Parker, his ex-girlfriend. She agrees to aid him in stopping the virus, while requiring Alex to bring back samples of the virus. Karen later leads Alex into a trap, where he is confronted by Cross. During their battle, Alex almost defeats Cross, when Cross mentions 'Penn Station', triggering a flashback that leaves Alex dazed. Alex is injected with a parasite that threatens to kill him. Alex seeks help from Dr. Ragland, a pathologist linked to Gentek. Ragland helps Alex remove the parasite and turn it into a weapon against Greene. However, it has no effect on Greene as her body rejected the parasite immediately, and the rejected biomass forms a monstrous being, the Supreme Hunter, which Alex kills. Alex later finds and kills Karen in revenge for setting him up. The origins of the virus and Elizabeth Greene are uncovered through a contact: in 1969 the government tested the virus' predecessor in Hope, Idaho, designed to target predetermined races. Although the entire town was infected, no ill effects manifested until Elizabeth Greene's infection. An anomaly in her body's biology accepted the virus, rewriting her genetic code and causing her to take control of the infected town, becoming hostile in the process. The entire population of Hope, Idaho was liquidated by Blackwatch with only Greene and her son, codenamed PARIAH, surviving. Although kept separate, the two were held in captivity for further research. With samples taken from Greene's blood, Gentek's team led by Mercer synthesized the current strain of BLACKLIGHT virus. Alex discovers his own past: Blackwatch shut down the Gentek project due to leaks and ordered all project personnel eliminated. Alex Mercer took a sample of BLACKLIGHT as "insurance". Eventually pinned down by Blackwatch in Penn Station. Alex, in a final act of desperation and vengeance, shatters the vial containing the BLACKLIGHT, releasing the virus before being gunned down. The virus entered Mercer's bloodstream through the bullet holes and repaired his body at the cellular level. The contact and Alex pump a new "BLOODTOX" biological agent underground in order to drive the virus above ground where it can be fought directly, causing Greene to emerge, encased in a towering monstrosity. Greene falls from the monster in human form once she is defeated, and is consumed by Alex. Through her memories, it becomes apparent that General Randall, head of Blackwatch, is prepared to destroy Manhattan with a nuclear weapon. Alex, with the help of the contact - revealed to be Cross - infiltrates the USS Ronald Reagan to stop Randall. Once Alex consumes Randall, Cross is revealed to be the Supreme Hunter, who assumed Cross' identity after consuming him, and attacks Alex, asserting that when Blackwatch leaves NYZ (New York Zero, the name given to the city after the outbreak) they will no longer be searching for infected, and that after he consumes Alex, he will then be strong enough to survive the nuclear detonation. Alex defeats the Supreme Hunter and moves the weapon out into the Atlantic Ocean with a helicopter, where it detonates and catches him in the blast. His remains float back to the city and regenerate after consuming a crow. During the credits, it is revealed that the public considers the military to have been the one who stopped the infection; a US Senator is heard telling the media that the events in Manhattan were a case of nuclear and biological terrorism, and promises retribution upon those responsible. Alex, reflecting on the events that occurred and the truth he uncovered about himself, claims he has "become something less than human, but also something more". After the credits, Manhattan is shown to be slowly recovering, with the virus close to eradicated. Alex, standing on top of the Reuters Building in Times Square, comments that his work is almost done. The main protagonist Alex Mercer is voiced by Canadian actor Barry Pepper. Alex's sister Dana Mercer is voiced by Lake Bell and the primary antagonist, Robert Cross (CODENAME: THE SPECIALIST) is voiced by Jeff Pierce. Phil LaMarr voiced Dr. Bradley Ragland, who was helping Alex when Cross injected him with an Anti-Blacklight virus. Alex Mercer ex-girlfriend Karen Parker is voiced by Vanessa Marshall. Alex's boss Dr. Raymond McMullen is voiced by Paul Guilfoyle who also played Jim Brass in CSI: Crime Scene Investigation. Gordon Clapp voiced Gen. Peter Randall who wants to contain Alex. Randall 2nd in-command Ian Taggart is voiced by Richard McGonagle. Kari Wahlgren voiced Elizabeth Green also known as "The Mother" who was infected with the virus in 1969. Brian Bloom voiced a Blackwatch commander who is yelling at the time when Mercer transforms into his disguise in the base. All additional characters are voiced by Dave Fennoy, Dave Wittenberg, David Andriole, David Lodge, and Diane Hsu. A six-issue comic book series made by DC Comics Wildstorm was a spin-off as a prequel to the game and released alongside. It reveals more about Hope Idaho, Elizabeth Greene, and the viral outbreak. The game received "generally favorable reviews" on all platforms according to the review aggregation website Metacritic. Prototype was released on Steam as well as in retail stores and topped the Steam sales on the week of its release. 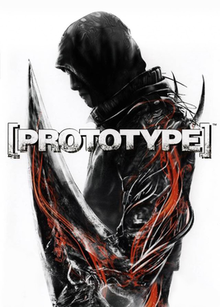 The Xbox 360 version of Prototype was the top selling game of June 2009 in North America, with over 419,900 units sold. This made the game a Platinum Hit. As of March 2012, the game had sold 2.1 million copies worldwide. GameSpot praised the game for its "intriguing storyline and protagonist" and "massive arsenal of moves and abilities", but criticized it for its "occasionally fiddly controls" and "dull scenery". The Escapist said the Xbox 360 version was a perfect "summer fling," praising the combat and movement systems as well as the unique mechanic of the Web of Intrigue. The A.V. Club gave the same console version an "A−" ranking, calling the movement style "exhilarating" and saying it was a "mature, science-fiction superhero fantasy that somehow makes players feel simultaneously powerful and vulnerable." 411Mania gave it a score of eight out of ten and called it "an entirely different type of sandbox game that will attract and please most gamers." The Daily Telegraph gave it a similar score of eight out of ten and said it "offers an action-filled experience that few games can match, and the array of attacks on offer is almost unparalleled in both its variety and its easy accessibility. The pure adrenaline-boosting entertainment value of the finished product is enough to push most visual and gameplay niggles far enough into the background so as to eradicate them as concerns in all but the most snobbish of gamers." Edge also gave it a score of eight out of ten, saying that the game "does what it does, and does it with distinction." However, Teletext GameCentral gave it five out of ten, concluding, "The initial feelings of power and freedom hide another badly designed and unimaginative superhero sim." Prototype was released two weeks after Sucker Punch Productions' Infamous, a game with many similar concepts including a character with superpowers, and a large open world environment that can be traveled by climbing up buildings and gliding about the city. This led many game critics to compare and contrast the games. In his Zero Punctuation review of Prototype, Ben "Yahtzee" Croshaw compared the two games point for point, and determined that he could not tell which was the better game - Prototype won on open world gameplay and combat, while Infamous won on story and side missions. To decide which one was better, he jokingly stated that he'd award the best game to the team which created the best picture of the other main character wearing "a woman's bra". To his surprise, both development teams rose to the challenge, producing said images, and forcing Croshaw to call it a near-tie, edging out in favor of Infamous, though he still noted that, like their games, both images created independently were nearly equal in the themes that they included. Prototype 2 was released on April 24, 2012 for the PlayStation 3 and Xbox 360, and on July 24, 2012 in North America and July 30, 2012 in Europe for Windows. Prototype 2 takes place three years after the events of the first game and stars a new protagonist, U.S. Marine Sergeant James Heller. Alex Mercer, on the other hand, becomes the franchise's main antagonist. ^ Sterling, Jim; Nicholson, Brad; Zimmerman, Conrad (June 18, 2009). "Review: Prototype (X360)". Destructoid. Enthusiast Gaming. Retrieved May 5, 2018. ^ Bramwell, Tom (June 10, 2009). "Prototype (Xbox 360)". Eurogamer. Gamer Network. Retrieved May 5, 2018. ^ a b Reiner, Andrew (August 2009). "Prototype (PS3, X360): Frequent Frustrations Bring This 'Superhero' Title Down". Game Informer. No. 196. GameStop. Retrieved May 5, 2018. ^ a b Lewis, Cameron (June 9, 2009). "Prototype (PS3, X360)". GamePro. IDG Entertainment. Archived from the original on June 12, 2009. Retrieved May 5, 2018. ^ a b Costantino, Jesse (June 15, 2009). "Prototype Review (PS3, X360)". Game Revolution. CraveOnline. Archived from the original on January 17, 2015. Retrieved May 5, 2018. ^ a b c Calvert, Justin (June 15, 2009). "Prototype Review (PC, PS3)". GameSpot. CBS Interactive. Retrieved May 5, 2018. ^ a b Calvert, Justin (June 11, 2009). "Prototype Review (X360)". GameSpot. CBS Interactive. Retrieved May 5, 2018. ^ Gallegos, Anthony (June 22, 2009). "The Consensus: Prototype Review (PC)". GameSpy. Ziff Davis. Retrieved May 5, 2018. ^ a b Gallegos, Anthony (June 16, 2009). "The Consensus: Prototype Review (PS3, X360)". GameSpy. Ziff Davis. Retrieved May 5, 2018. ^ "Prototype Review (X360)". GameTrailers. Viacom. June 12, 2009. Archived from the original on November 22, 2012. Retrieved May 5, 2018. ^ Liebman, Dan (June 10, 2009). "Prototype - PC - Review". GameZone. Archived from the original on June 14, 2009. Retrieved May 5, 2018. ^ David, Mike (June 10, 2009). "Prototype - PS3 - Review". GameZone. Archived from the original on February 25, 2010. Retrieved May 5, 2018. ^ "Prototype - 360 - Review". GameZone. June 10, 2009. Retrieved May 5, 2018. ^ "Prototype Reviews and Articles for Xbox 360". GameRankings. CBS Interactive. Retrieved May 5, 2018. ^ a b Shoemaker, Brad (June 10, 2009). "Prototype Review (PS3, X360)". Giant Bomb. CBS Interactive. Retrieved May 5, 2018. ^ a b c Brudvig, Erik (June 9, 2009). "Prototype Review". IGN. Ziff Davis. Retrieved May 5, 2018. ^ a b Shea, Cam (June 9, 2009). "Prototype AU Review (PS3, X360)". IGN. Ziff Davis. Retrieved May 5, 2018. ^ Cohen, Corey (June 15, 2009). "Prototype". Official Xbox Magazine. Future US. Archived from the original on June 18, 2009. Retrieved May 5, 2018. ^ "Prototype". PC Gamer UK. Future plc. August 2009. p. 68. ^ "Review: Prototype". PlayStation: The Official Magazine. No. 23. Future plc. September 2009. p. 74. ^ a b Jones, Scott (June 22, 2009). "Prototype (X360)". The A.V. Club. The Onion. Archived from the original on June 26, 2009. Retrieved May 5, 2018. ^ a b Cowen, Nick (June 12, 2009). "Prototype video game review (X360)". The Daily Telegraph. Telegraph Media Group. Retrieved May 5, 2018. ^ a b "Prototype for PC Reviews". Metacritic. CBS Ineteractive. Retrieved May 5, 2018. ^ a b "Prototype for PlayStation 3 Reviews". Metacritic. CBS Interactive. Retrieved May 5, 2018. ^ a b "Prototype for Xbox 360 Reviews". Metacritic. CBS Interactive. Retrieved May 5, 2018. ^ Callaham, John (June 15, 2009). "Prototype tops weekly Steam sales charts". GameDaily. AOL Games. Archived from the original on June 16, 2009. Retrieved May 5, 2018. ^ Faylor, Chris (July 16, 2009). "June NPD Sales: Prototype Tops Another Slow Month". Shacknews. Retrieved May 5, 2018. ^ Sacco, Dominic (March 30, 2012). "Prototype 2". MCV. NewBay Media. pp. 48–49. Retrieved April 5, 2012. ^ Arendt, Susan (June 18, 2009). "Review: Prototype (X360)". The Escapist. Defy Media. Retrieved May 5, 2018. ^ Aber, Trace (June 30, 2009). "Prototype (Xbox 360) Review". 411Mania. Archived from the original on July 3, 2008. Retrieved May 5, 2018. ^ Edge staff (August 2009). "Prototype (X360)". Edge. No. 204. Future plc. p. 90. ^ Hargreaves, Roger (June 2009). "Prototype (360)". Teletext GameCentral. Teletext Ltd. Archived from the original on June 18, 2009. Retrieved June 1, 2018. ^ Bramwell, Tom (May 20, 2009). "inFamous Review". Eurogamer. Gamer Network. Retrieved May 29, 2009. ^ Ackerman, Dan (June 18, 2009). "Battle of the suspiciously similar superhero games: Infamous vs. Prototype". CNET. CBS Intractive. Retrieved May 5, 2018. ^ Schiesel, Seth (June 24, 2009). "Slaughter on 14th Street: Laying Waste to New York by Pressing a Button". The New York Times. The New York Times Company. Retrieved July 3, 2009. ^ Cacho, Gieson (July 7, 2009). "Why I liked inFamous better than Prototype". The Mercury News. Digital First Media. Retrieved July 10, 2009. ^ Kuchera, Ben (June 15, 2009). "Prototype review: One thing you can't destroy is yourself". Ars Technica. Condé Nast. Retrieved July 10, 2009. ^ Croshaw, Ben (June 24, 2009). "Zero Punctuation: Prototype" (Flash video). The Escapist. Defy Media. Retrieved July 3, 2009. ^ Croshaw, Ben (July 3, 2009). "Yahtzee's Prototype vs. InFamous Challenge". The Escapist. Defy Media. Retrieved May 5, 2018. This page was last edited on 21 April 2019, at 18:11 (UTC).